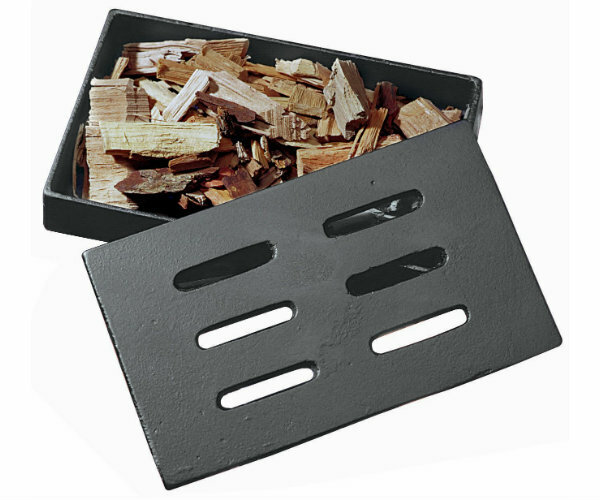 The Char-Broil cast iron smoker box forces wood chips to smolder rather than flame, in order to add flavor with no mess. It features a durable cast iron body and a lid that’s vented to direct smoke towards food. The smoker box works with most gas, charcoal and electric grills.